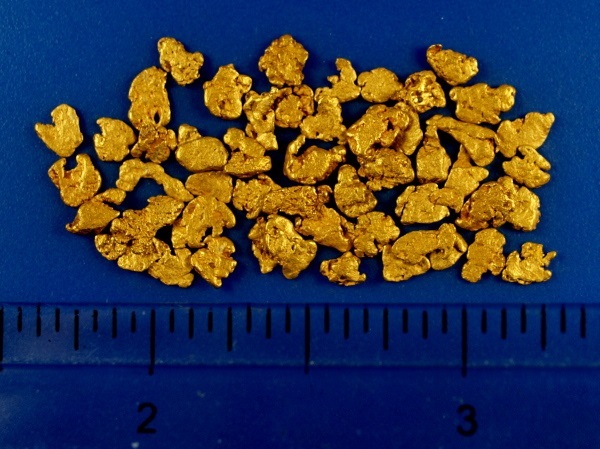 These small gold nuggets originate from a working placer mine near Fairbanks, Alaska. These are fresh out of the Earth from last summers diggin's. Their combined weight is 5.02 grams.